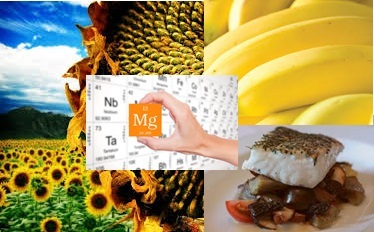 24%, 23% and 22% of the DV for magnesium that's what you can find in one serving of sunflower seeds (0.25cup), halibut (4oz) and a large(r) banana - now you tell me it was impossible to get your magnesium from dietary sources. After having handled half of the Science Round-Up from Thursday yesterday, yesterday, there is still something left to serve: seconds to the seconds, if you will and probably not so "new" as the average SuppVersity news. In order not to bore you, I will yet refrain from telling you how important magnesium is and how it is involved in thousands of enzymatic reactions ... you know the whole magnesium-guru-spiel all too well, anyway. I mean, anyone doing a cursory Google search will have to conclude that there is nothing magnesium cannot cure, right?. Whatever you may suffer from, someone has already found out that it must be related to magnesium deficiency or, even more profitable, taking the wrong form of magnesium supplements. Apropos deficiency: How do you even know you are deficient? What sounds like a question that could be answered in one, at best two sentences turns out to be one of the root causes of the whole confusion about magnesium. Based on a standard blood test you can only exclude that your levels are (a) so high or (b) so low that you better head straight to the emergency room. Magnesium is, just as the other electrolytes, simply too important for your body to have them drop below a certain margin in which your heart works optimally. So if there is not enough magnesium around, your body will tap into tissue stores the status of which is obviously not identical to the serum levels on a standard lab test. With the erythrocyte (red blood cell) test for magnesium, there is however an alternative available, which may not be just as reliable but appears to show a relatively high correlation with whole body magnesium levels in many, but not all studies (Malon. 2004). How likely is it that you are deficient? Honestly, I would hope that it is unlikely, because if that is the case for someone who is not taking supplemental magnesium you can almost be sure that her or she is following a healthy whole foods diet. If you take a look at table 2 you will see that even the average German gets enough magnesium in his diet, irrespective of his age, and much contrary to our neighbors in the East, West and Northwest (I could not resist to mark zinc another of those purported minerals of which conventional wisdom tells you that you simply cannot get enough from your diet). Knowing that most of you are probably Americans, I can calm you down. You are not worse than your British friends. In fact, the NHANES data from 1999-2000 suggests that the average American Caucasian and Mexican man below 50 gets enough magnesium from his food only! Unfortunately, the same cannot be said for the women, and both male and female African Americans who have trouble meeting their requirements even if one accounts for the additional magnesium from supplements (NHANES). A note on magnesium and cramps: While there is evidence that altered serum osmolality and altered serum electrolyte concentrations, notably hypochloraemia, hyponatraemia, and hypocalcaemia (=not hypomagnesaemia) can cause generalized skeletal muscle cramping at rest in specific clinical settings, "data from well-conducted prospective cohort studies show that athletes with acute EAMC are not hyponatraemic, hypochloraemic, or hypocalcaemic and do not have an abnormal serum osmolality." (Schwellnus. 2008). For the average athlete, a low magnesium intake is yet rather the exception and can even be problematic for athletes with a high anaerobic-to-aerobic ratio who suffer from increases in blood mg due to an overall reduction on blood volume after intense workouts, anyway (Cordova. 1992; Joborn. 1985; Monteiro. 2005; Monteiro. 2006). It is thus no wonder that not magnesium deficiencies, but high magensium levels are a problem that is commonly observed in athletes. I mean, what are you supposed to do, when even your mother "lies" to you about cramps being caused by magnesium deficiency? The data Malliaropoulos et al. analyzed came from 130 elite track and field athletes (65 males and 65 females, age range 20-30 years) from the National Athletics Sports Medicine Center database in Thessaloniki, Greece. And maybe some of them were even on the proven non-ergogenic ZMA (zinc + magnesium + vitamin B6; cf. Wilborn. 2004). So where do you get your supplemental magnesium from and how much? I am not going to tell you to stop supplementing with magnesium if you feel that this has done you good in the past. It is after all an important mineral. What I want to remind you of is yet the fact that taking 100% of the RDA is imho the absolute maximum. Even if you don't end up with high levels due to supplementing more and don't care about wasting money, there is one thing that's commonly overlooked about human physiology and that is how the intake and excretion of nutrients are highly inter-related. In other words, if your body switches into a "get rid of magnesium" mode it is likely you are loosing other electrolytes you do not supplement in copious amounts (e.g. salt ;-), as well. As far as the best forms are concerned the number of studies comparing multiple forms to each other is limited and the inter-comparison of different studies not really legit. Therefore I have simply copied + pasted the figure that went with a previous article on the matter - as you can see, you can generally use whatever form of magnesium you want - even the cheap oxides, which worked wonders for anxiety ridden ladies in a study by De Souza et al. that was published in the Journal of Women's Health & Gender-Based Medicine in March 2000. As long as you take your magnesium supplements in reasonably low doses - the dose in the De Souza study for example was 200mg + 50mg B6 - and over a long enough period, they are going to bring your levels back up - if not sooner, then later. Aside from the almost cult-like worship of epsom salt baths and topical ng oils, the notion of a general depletion of mg in the foods we eat is one of the favorites among the bazillion of websites run by people who hoax you to believe they were concerned with your physical health, when all they are concerned with is their own financial health. It is, as the data in figure 2 goes to show you true that the amount of magnesium in many of the foods we consume is lower these days than it was amidst WW2. The mg loss in meats, for example, is driven by the processing, while corned beef has lost almost 50% of its "original" mg content, the amount of mg in roast beef and steaks is still the same, the one in turkey is even up by ~30% and for chicken it remained 100% stable (Thomas. 2007). It is also a very intriguing coincidence that the same websites will usually also tell you how we are all not just magnesium deficient, but also copper toxic. Strange in view of the fact that the average reduction in copper is -62% and thus >2x higher than that of magnesium. Before closing this round-up with a bottom line, I am briefly listing a couple of things related to magnesium or rather a deficiency in this important mineral that could be solved by simply upping your dietary and/or supplemental magnesium intake. If anything of these sounds familiar, I would certainly consider testing my mg levels (erythrocyte test) before and while I was supplementing and that's not about wasting money on potentially unnecessary supplements, but much more about making sure that you actually get, absorb and retain enough magnesium. 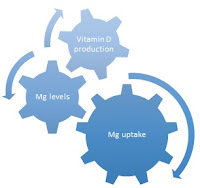 Bottom line: Magnesium is certainly an important mineral, but its effects must not be seen in isolation, it should not be supplemented in copious amounts in isolation without medical indication and it may not be misunderstood as a natural pharmacological agent - it works by (a) replacing a deficiency or (b) countering an imbalance. Plus: It is not generally impossible to get your 300-400mg of magnesium from your diet. Arnaud MJ. Update on the assessment of magnesium status. Br J Nutr. 2008 Jun;99 Suppl 3:S24-36. Bohl CH, Volpe SL. Magnesium and exercise. Crit Rev Food Sci Nutr. 2002;42(6):533-63. Review. Cordova A. Changes on plasmatic and erythrocytic magnesium levels after high-intensity exercises in men. Physiol Behav1992; 52: 819-21. Eby GA, Eby KL. Rapid recovery from major depression using magnesium treatment. Med Hypotheses. 2006;67(2):362-70. Elin RJ. Assessment of magnesium status. Clin Chem. 1987 Nov;33(11):1965-70. Review. Joborn H, Akerstrom G, Ljunghall S. Effects of exogenous catecholamines and exercise on plasma magnesium concentrations. Clin Endocrinol (Oxf)1985; 23: 219-26; (Oxf). Malliaropoulos N, Tsitas K, Porfiriadou A, Papalada A, R Ames P, Del Buono A, Lippi G, Maffulli N. Blood phosphorus and magnesium levels in 130 elite track and field athletes. Asian J Sports Med. 2013 Mar;4(1):49-53. Malon A, Brockmann C, Fijalkowska-Morawska J, Rob P, Maj-Zurawska M. Ionized magnesium in erythrocytes--the best magnesium parameter to observe hypo- or hypermagnesemia. Clin Chim Acta. 2004 Nov;349(1-2):67-73. Matsuzaki H, Katsumata S, Kajita Y, Miwa M. Magnesium deficiency regulates vitamin D metabolizing enzymes and type II sodium-phosphate cotransporter mRNA expression in rats. Magnes Res. 2013 May 1;26(2):83-6. Mensink GB, Fletcher R, Gurinovic M, Huybrechts I, Lafay L, Serra-Majem L, Szponar L, Tetens I, Verkaik-Kloosterman J, Baka A, Stephen AM. Mapping low intake of micronutrients across Europe. Br J Nutr. 2013 Aug;110(4):755-73. Miriam C. De Souza, Ann F. Walker, Paul A. Robinson, and Kim Bolland. Journal of Women's Health & Gender-Based Medicine. March 2000, 9(2): 131-139. Monteiro CP. Equilíbrio Oxirredutor: um estudo em nadadores e em não atletas, em repouso e em resposta ao exercício [PhD]. Lisboa: Faculdade de Motricidada Humana, Universidade Técnica de Lisboa, 2005. Schwellnus MP. Cause of exercise associated muscle cramps (EAMC)--altered neuromuscular control, dehydration or electrolyte depletion? Br J Sports Med. 2009 Jun;43(6):401-8. Thomas D. The mineral depletion of foods available to us as a nation (1940-2002)--a review of the 6th Edition of McCance and Widdowson. Nutr Health. 2007;19(1-2):21-55. Review. Constituents of Widely Used Cosmetics. Public Health Reports. 1896-1970; 30(42): Oct. 15, 1915. 3059-3066.